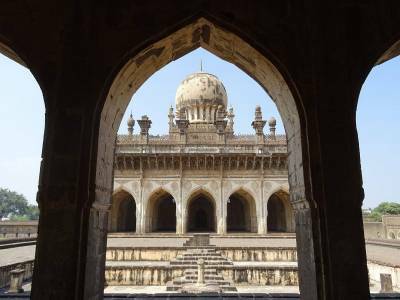 The Ibrahim Rauza tomb was built by Adil Shah II and it took around 47 years to construct it. 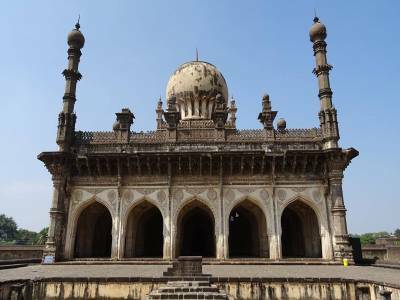 The building which was started in 1580 and completed in 1627 constitutes of the tomb at the eastern end and a mosque at the western end both of which rise opposite each other. The two structures have a fountain and a very decorative tank between them. There is a prayer chamber in the mosque that has five arches. These buildings are enclosed within a square and have a captivating garden in front. The buildings stand on a podium which has a length of 360 feet and a width of 160 feet. Ibrahim Adil Shah II was a magnanimous ruler and a patron of culture and arts. He was from the Ottoman dynasty that had its origin in Turkey. The Ibrahim Rauza is a masterpiece of distinct culture that was created for Ibrahim’s resting place. 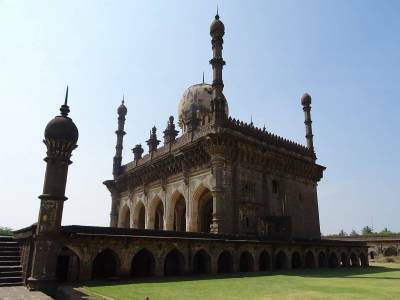 The resplendent tomb has a main chamber with a verandah, four minarets (one at each corner), and an orbiculate dame at the top of the structure. The tomb is efficiently planned and beautifully decorated with intricate details. Though the mosque is more compact and smaller than the tomb, however; it stands out due to the harmonious architecture and splendour. 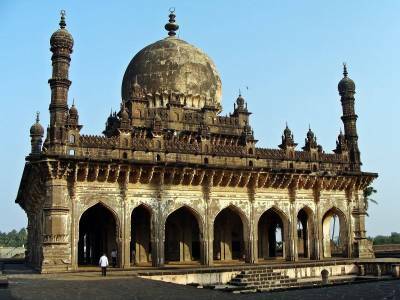 The entrance of the mosque is adorned with elaborated ornamentation with two minars at each of the corners. It is said that if Ibrahim Rauza would be made up of marble, its charm would be close to Taj Mahal if not surpass it. 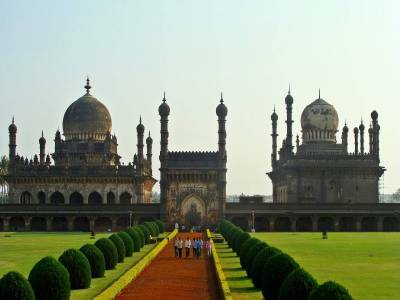 The architecture of these buildings has evolved from the rulers of the Deccan Plateau and is similar to that of the Turkish and Persian designs. The monument has a lot of historical significance and is a vision in itself. The entire composition is extremely appealing and it is a combination of beauty and grandeur. Get quick answers from travelers who visit to Ibrahim Rauza.